literary aficionados will encounter important literary locations for the history of Russian letters: the Dobrov House, Peredelkino, Lavrushinsky Lane – and also the names of legendary figures such as Olga Bessarabova, Maria Belkina, and Lydia Libidinskaya. I hadn’t heard of any of these, but I didn’t think that would matter. I’ve read most of the great 19th century Russian writers, and I’ve read some post Perestroika authors, but I know very little about the writers whose work was repressed in the 1930s, and I was assuming that this book was meant to introduce readers to them. No, what I found baffling was that the book was more like a disjointed memoir of an authorial quest. Although there were many, many people referenced in the book, it didn’t have character development, and there wasn’t any plot to speak of. It reads more like a memoir of Gromova’s research. It consists of patchy fragments from this and that, (which look as if they are authentic quotations from the archives) and although it ought not to matter whether the reader has heard of the writers Gromova references, there are many instances where she assumes knowledge that sent me off to Google, again and again, often with no results. Maria Belkina, author of The Intersection of Fates, ‘one of the most famous books in Russia’, has no online presence that I can find, nor could I find out anything about Olga Bessarabov or Varvara Malakieva-Mirovich. The poetry of Marina Tsetaeva is, however, sufficiently well-known to warrant a Wikipedia page, which illuminated things for me a bit because it explained her tragic life and how oppression under Stalin blighted her fortunes. Reading this book, I felt, keenly, that I was always missing something. Gromova’s point is that these people should be rescued from obscurity, but I felt as if I were traversing a map with no landmarks to guide me. Why? It looked like I would be able to dig and find the answer to this question, for that I would need experience and an understanding of how lives were intertwined. Life rolls on like a ball, lifting up its heroes on high and then dropping them to the bottom. This ball keeps rolling even after the person passes away, it continued to act on his fate in the same way as when he was among us. How many times have I had to witness the strange reflections or distortions of a person’s life in their posthumous existence! Sergei Alexandrovich appeared in Tatyana Alexandrovich’s life shortly after Malyugin’s letters, and more importantly after Tashkent. It is little nuggets like this that make Moscow in the 1930s interesting, but they are few and far between. Who could have imagined that the intelligentsia were anticipating colonisation by the Brits?? The book began to work for me when I let go of trying to follow the paths of its characters, and abandoned trying to work out how it purports to be a novel. I just read it as if it were a memoir and assumed (perhaps wrongly) that the narrator was Gromova herself. She tells the story of her previous books, which explore the ways in which people she has researched are bound together. 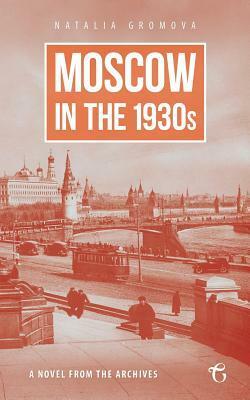 In 1930s Moscow the knot of personal relationships had become a noose, or even a garrotte because the Kremlin’s interrogators would haul in everyone and anyone who was associated with a suspect. She discovers papers about Nikolai Stefanovich who infiltrated a group of poets and denounced them to the authorities: this betrayal led to four members being shot and the rest were sent to the gulags for a long time. There is also the poignant story of Wanderers of Night, a novel written by Daniil Andreyev. Copies were hidden because it was anti-Soviet but Andreyev himself revealed the last copy under the floorboards because he could not withstand interrogation. It is a terrible irony that literature replaced religion for this generation under the Soviets and its authors served like priests – but that working as a writer in the prescribed Soviet way was like a prison. If an evil is done for some period of time and is destructive to the human race, this evil will surely leave its mark on the way people subsequently live. Generations will follow that will lack strength and inspiration. They will look at everything around them with apathy and indifference. Their spirits will be burned out, they will grow tired long before they are even born. This is now today the 20th century casts a shadow over the 21st. Although Moscow in the 1930s is a difficult book to read, this tender homage to writers under Stalin provides an insight into a world that should not be forgotten. The translation is generally smooth, but there are some annoying lapses, e.g. When society wasp going through (p82); she happy to hear (p254); she attend church (p.312). There are also problems with homophones e.g. pore/pour (p18) and story/storey (p55) and adverbs e.g. so stunning talented (p28). Review copy courtesy of Glagoslav Publications. Well done for making it through to the end. Literature is so often seen as opposing Stalinism yet authorities had authors safely out of the way of WWII in Tashkent. How interesting. Have ordered it, thanks for this review Lisa. I always think when the going gets tough with a book the thing to do is let go and go with the flow – as you decided to do. Sounds like it had some benefit, but I must say that I find those translation slips somewhat unforgivable – and presumably they are just examples so there are more. If I’m going to read a translated work it really does need to be translated well I think so I feel I”m reading a writer not a translator (if that makes sense). I’m sure the book has some important things to say, but I don’t think I’ll be adding it to my pile! Though I’m prepared to cut a little slack in some cases. Some languages have a well-established translation system going: lots of competent translators; lots of publishers making the books available (and proof-reading them carefully first). French is an obvious example, but also German, Italian, and Spanish. You can expect translations of those languages to be very good indeed because there are hordes of publishers making them available. But other languages don’t have the same profile. They don’t have a huge pool of fluent translators, and sometimes only small indie publishers make the effort to promote the literature to the English speaking world. Glagoslav is one of these publishers, keen to bring us Russian books, but I’ve also reviewed books from small publishers of other Slavic languages and also Dutch. Sometimes their translators speak English like our second-generation Australians do; they may have been born here but English is not their mother tongue, and you don’t have to be a teacher of ESL as I was to notice that they sometimes struggle with English idiom, tenses and plurals and so on. So the translations may not be perfect. But I admire these entrepreneurial small publishers originating from somewhere outside the English speaking world. They know about really interesting books because they’ve read them in the original language and they are proud of their culture and they want to share it. And even though I tick them off because I hate having my reading disrupted by mistakes, I’m still conscious of how precarious they are in the marketplace. What they should do is get a native English speaker to do the final copy-edit, but that’s an extra cost on top of the cost of translation and all the other costs that bear down on small indie publishers. Most often I take the time to email the publisher privately with my list of errors and their page numbers so that they can fix them for future editions. I find contemporary books from the former Soviet Union fascinating. The people have been through so much and their stories are intriguing because they have lived through a massive social experiment not like anywhere else in the world. Reading the domestic detail of the people in this book is in sharp contrast to the bombast of the political leadership and it shows their humanity. So, warts and all, I’m looking forward to my next book from Glagoslav, it’s called The Investigator and it’s set in Soviet Ukraine in the 1950s! Far enough Lisa. Put that way I can accept cutting them some slack!